A four-week mastermind program designed to give you the clarity and focus your business needs to grow in 2015 and beyond. You have to understand yourself, your business, and what it stands for. This is your WHY. Why does it exist? You have to look into the future and carve a piece of it for yourself and your business. You have to predict your own future and make it something worth working towards. This is your WHAT. What are you working for? You have to understand the steps required today to land at the future you desire. Only by building a plan of action can you take the first step with confidence that you’re moving in the right direction. This is your HOW. How will you make it happen? All the planning will be worthless if you don’t put it into motion. This is where we learn to do…and learn by doing. There will be adjustments along the way, but more often it’ll be calm course corrections instead of radical U-turns. And this is a process you will repeat over and over again…because it works! This is more than just passive training…it’s a Mastermind! We will work together, through the content and exercises, leveraging each other’s knowledge and abilities to move forward. It’s only four weeks…the intensity will provide laser-like focus and accountability to do the work each week. A Strategic Plan Review – James will personally review your plan and provide detailed feedback to make is stronger. An interactive seminar with Emily Chase Smith, author of The Financially Savvy Entrepreneur. 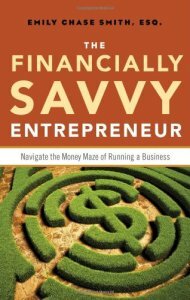 Emily will share six fundamental financial concepts designed to help you navigate the money maze as a business owner. A one hour coaching call with James to discuss any aspect of the planning process for your business. If you commit yourself to the process and find that it wasn’t worth your investment, tell me what it was worth and I’ll refund the difference. I’ve been self-employed for 6 years and each year I have so many ideas that I want to develop and work on, opportunities I can see coming my way that I wanted to be prepared for. This year was no exception, but I was feeling overwhelmed and paralyzed. How could I get it all organized and make it an understandable and actionable plan? This coaching program was just what I needed and it came at the perfect time! For the first time in MANY years, I am actually excited for my business and what is going to happen in the new year. James’ helped me capture all my ideas and create an action plan that I can work and make the dreams I have for my business come true. Before I completed the program and the SSP I had intentions for 2014. Now I have plan. I have goals with dates tied down. No longer will my business be driven by intentions alone, it will be directed by a plan. James will guide you through creating a strategic plan for your business to focus on getting real work done, and cutting out what doesn’t matter. You will outline goals, projects, and timelines to get things done. The one catch is you can not just go along for the ride. You have to do the work, create a plan, put it into motion, and in the end it just might change your life. I’ve been steeped in the free-agent-perspective for twenty years. Yet it wasn’t until working with James Woosley, and going through his coaching program that I could launch my dream business, Mommy Sabbatical, LLC. 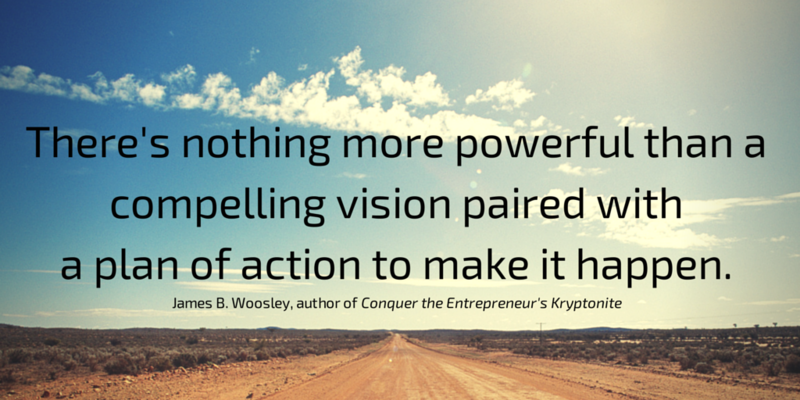 My head has been full of inspiration and hope and vision for years…but my kryptonite was creating a PLAN. James helped me formulate a functional, realistic, flexible plan, and I’m finally off and running! I had no time to waste. I did NOT want to end another year without having realized some long-held goals for entrepreneurship and knew the key to ending well was beginning well. Now I have a solid plan in place and a clear vision for my business a year from now and five years from now. 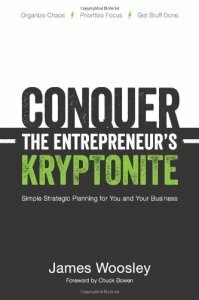 James Woosley helped me create a Simple Strategic Plan that will keep me on course and I have the tools to adjust it as the unexpected arises. I expected a lot from this program and I got it! This is project management for entrepreneurs! Strategic Planning has always been a hard thing for me to do. This system broke it down to bite-sized pieces so that I actually wanted to complete it. I have accomplished more on my projects than I ever dreamed of. Thanks James for a system that will set me apart from others in my industry. When this program was opened up, I knew I had to be a part of this first run. James clearly laid out the “why” of the SSP, and then worked with each of us so that we would understand the “how” and use it ourselves. At the end of our time together, I have a functioning SSP for the first quarter of 2014, and the knowledge of how to continue to refine and deepen the SSP’s of the future. Thank you James, for the simplicity, yet amazing functionality of the tools you’ve provided.